Last edited by tfco on Sat Apr 13, 2019 11:24 pm, edited 19 times in total. Will be interesting to see how this develops. Phelan is a must and given the forecasted change in managerial structure, could yet prove a necessary evil. With United moving to a head coach system, Phelan, having excelled in said capacity, may set his sights on the role. Then comes the obvious, in a Mancunian jungle of big burly blacks, can Ole Gunnar turn bare-chested Tarzan? Does he have the girth to go hammer and tong vs Pogbo Haram? Can he out-Fortnite dance Jesse Lingard? Sink or swim. The boys from the Valleys doggied him from Cardiff to Kattegat, have those wounds healed?? Baby face assasin shows Mourinho, hows it done! Attack,attack attack! Damn.......what a sad day for the football Coward. Indeed a terrible day for him, this is the united way, attack, attack, attack, not park the bus when playing at home! Gunner to the rescue of Manure after Borinho, the football coward almost destroyed the club. Na only Cardiff abeg. When Liverpool, Man City, Chelsea, Spurs etc come una go see the difference. Can they do what palace or Leicester did yesterday? 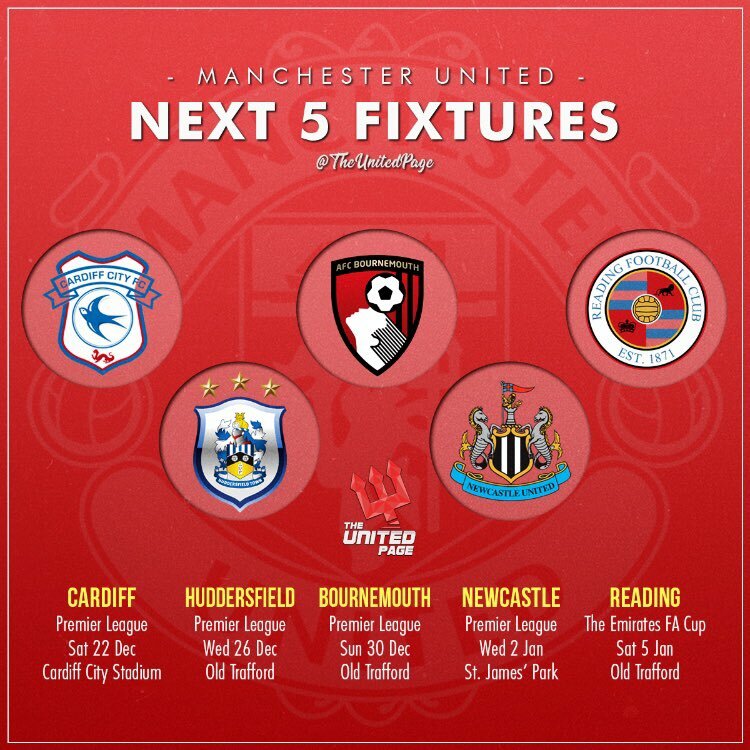 A much improved united will punish one of those big teams before the season is over, dont know if OGS will be given funds for any new player, what i hear is they prefer to take a player on loan, what areas are needed? Central defence? Can Bailly/Lindelof be allowed to thrive? Matic/ Young are in their 30s, Darmian has not played too many games, Shaw looks to be settled in that position for now, unless know for sure who our new coach will be and they consult him for transfers? What if they decide to give OGS the job on permanent basis? If he performs well this season? Gunnar can make a strong case for himself, which will definitely complicate things in a good way at the end of the season but the odds are way more in favor of Mauricio Roberto Pochettino Trossero. Win-win for Manchester United, in my opinion. di Matteo won the UCL. There is this aura surrounding Ole Gunnar Solksjaer. You could feel it when he was a player and surprising it's still there as a manager. His performance so far as a manager has been average but he wasn't managing players with ability to translate his approach into consistent results on match day. He has that platform at Manchester United. There is a huge possibility that this guy will seize this opportunity. Pls stop assuming that everyone has the time to decipher your one-liners. What is your point or what are you 'just saying'?